Every corporation works in a different fashion with a specific work flow that has been meticulously built to suit their specific needs. Out of the box or online cookie cutter solutions can not address these challenges. Pulse Solutions can create Custom Tailored CRM solutions to automate specific business processes to address your specific needs. A Custom CRM software can be tailored to suit the natural work flow and process of each individual corporation. A CRM not only aids automation, it helps companies understand and anticipate the needs of current and potential customers. Functions that support this business purpose include sales, marketing, customer service, training, professional development, performance management, human resource development, and compensation. Tools that can tie some or all of these entities together will result in increased productivity, but also a greater means of knowledge sharing. Legacy system integration is one of the most crucial aspects in any CRM design. Often corporations upgrade one step at a time, and this is where an out of the box solution fails miserably. Our software integrates seamlessly with backend databases like FoxPro, Access, Excel as well as interfaces with financial systems and mainframes to deliver overall automation. Our trained staff of IT professionals works with your company to create a schematic work flow and develop a needs assessment to maximum productivity. This streamlined process is tailored to fit the solution, not the other way around. Our custom CRM systems helps you leverage the power of the web by allowing secure access to the system from any corner of the globe bringing about a whole new level of accessibility and scalability. Our systems are fully web based and accessible over GPRS enabled mobile devices. This makes it an ideal choice for salesmen as well as engineers working off site. We at Pulse Solutions create solutions that not only solve business problems; they create new opportunities of partnership and deliver high levels of client satisfaction. Our CRM solutions have helped several clients develop a healthy relationship with their customers, improving overall competitiveness, efficacy and productivity. Let us help you. 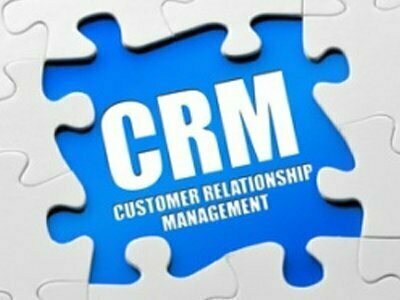 Contact us for a free consultation on how we can develop a CRM solution for your organization.